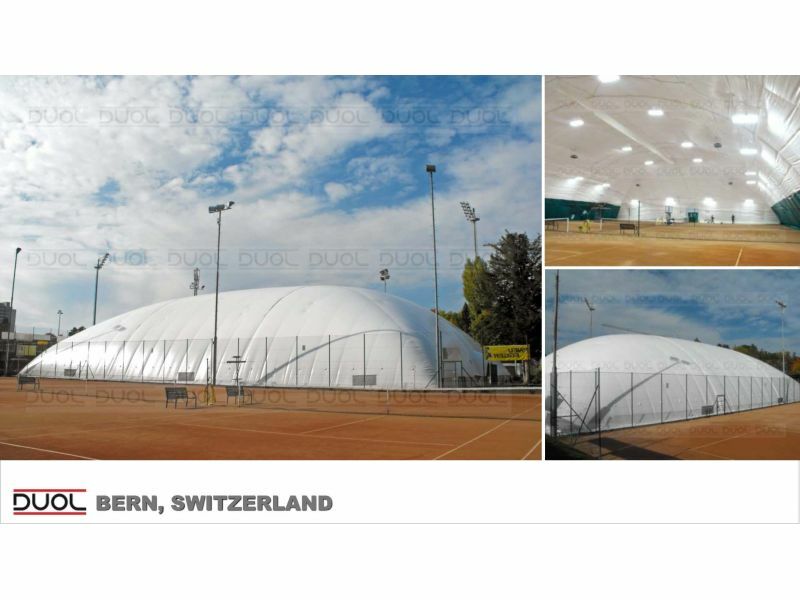 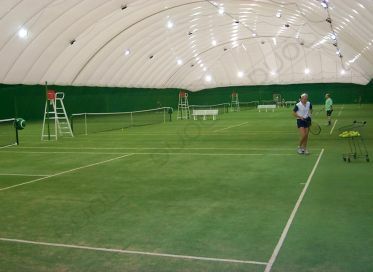 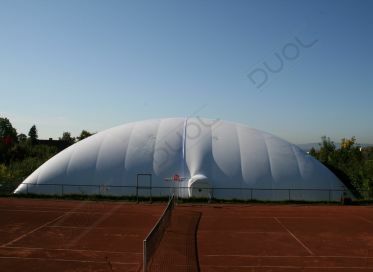 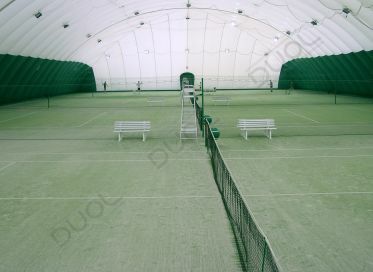 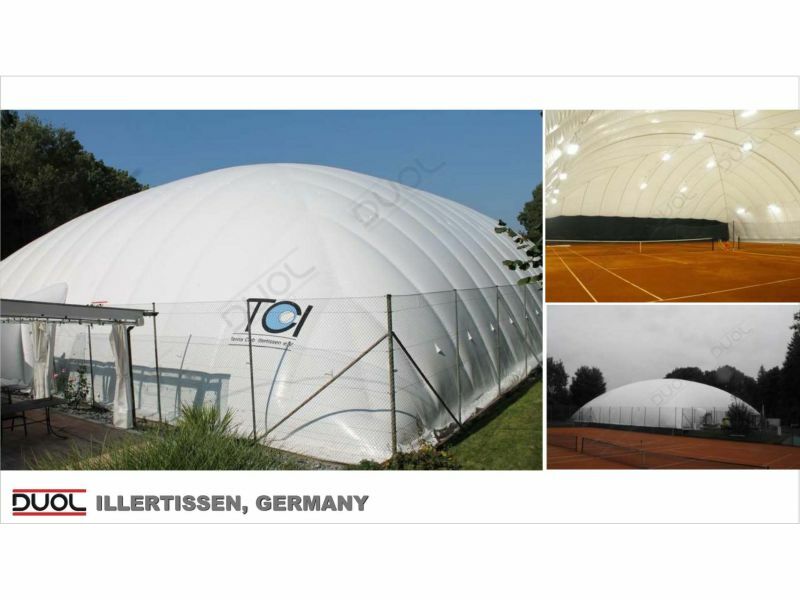 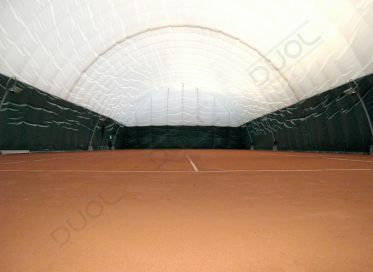 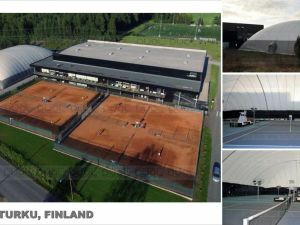 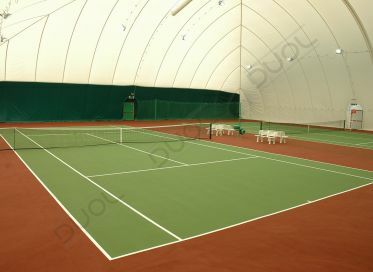 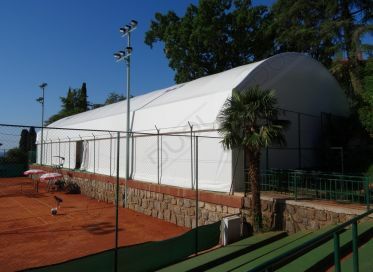 Air Supported Structures are an ideal solution for the seasonal or permanent coverage of one or more tennis courts. 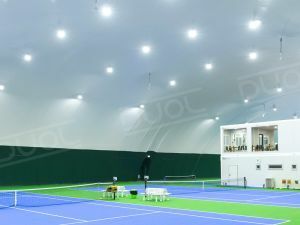 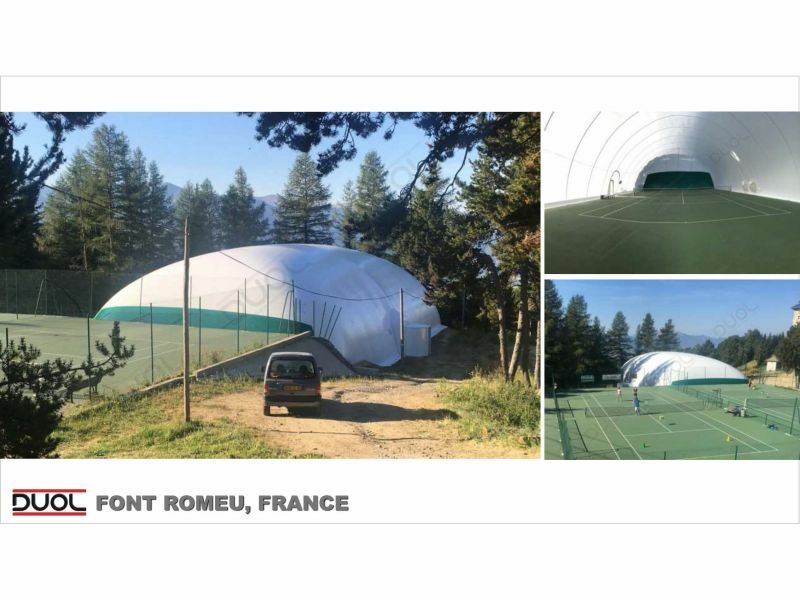 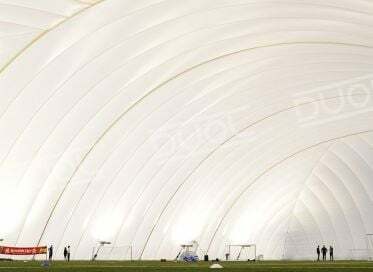 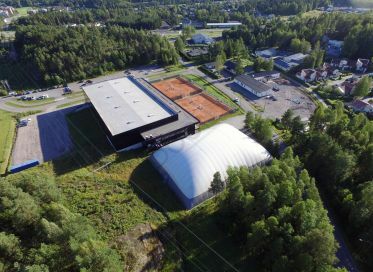 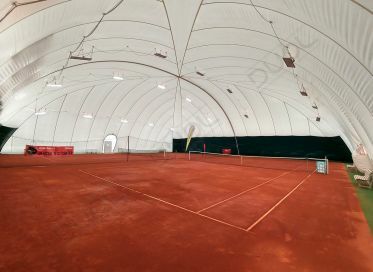 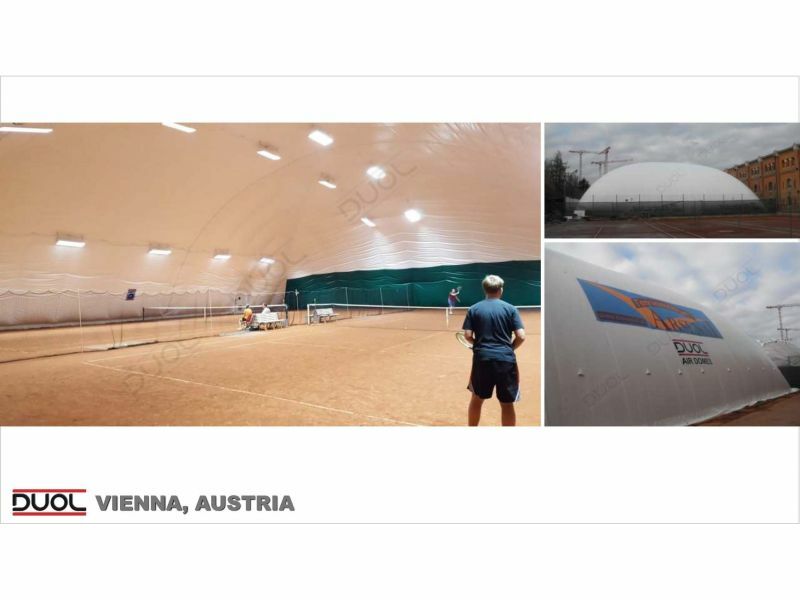 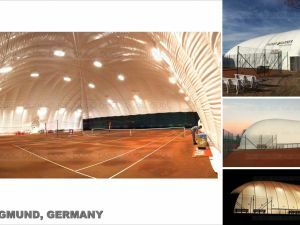 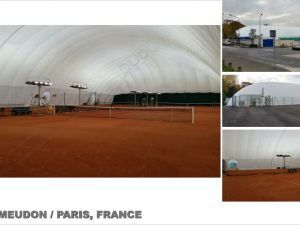 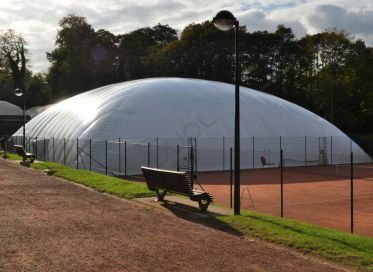 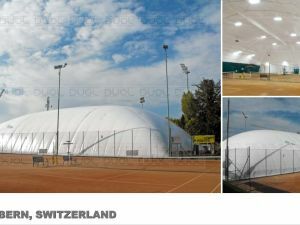 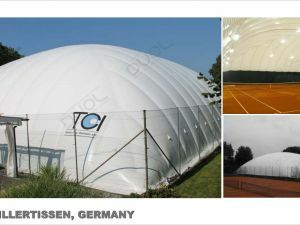 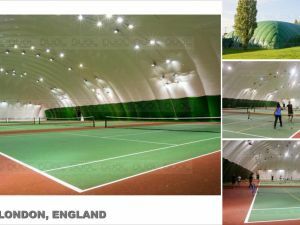 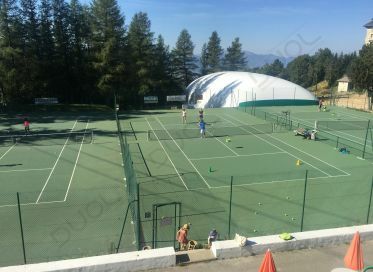 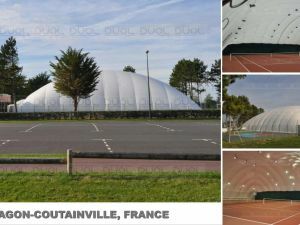 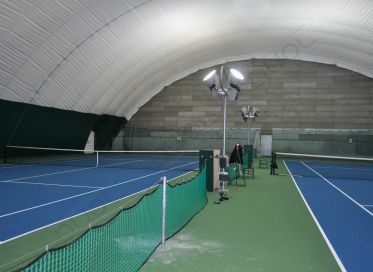 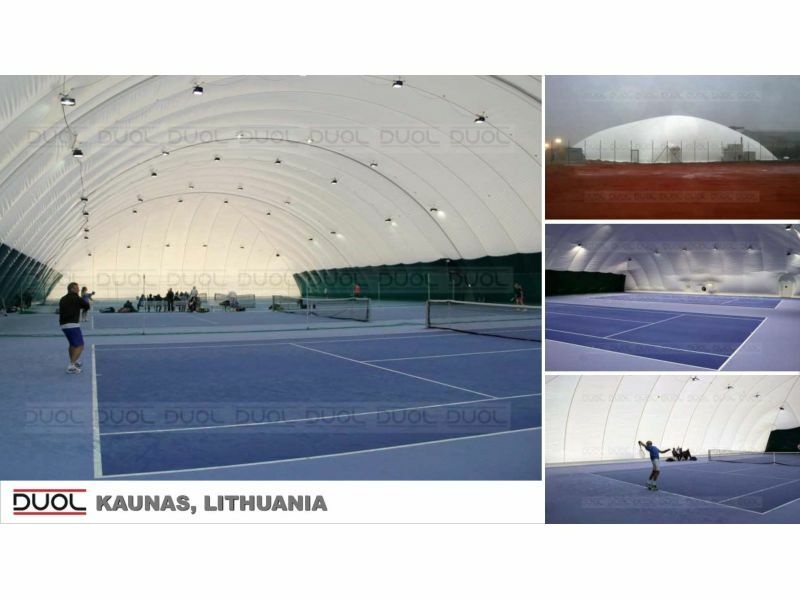 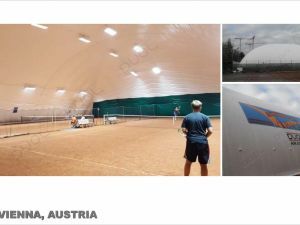 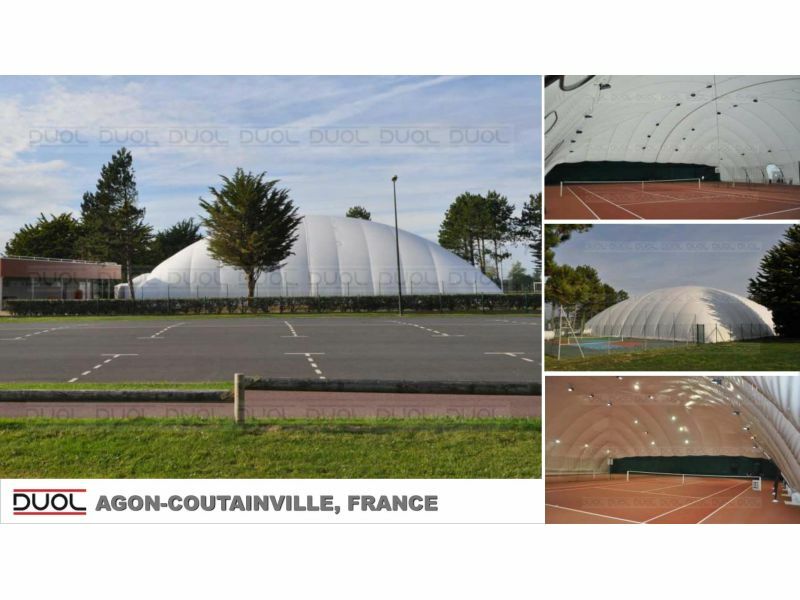 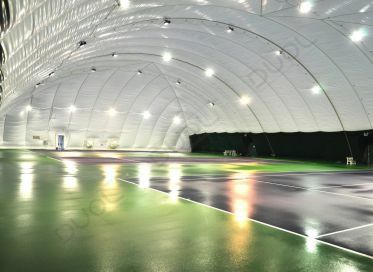 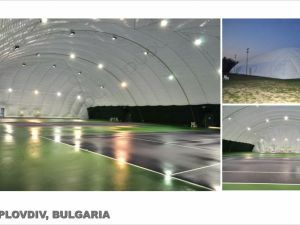 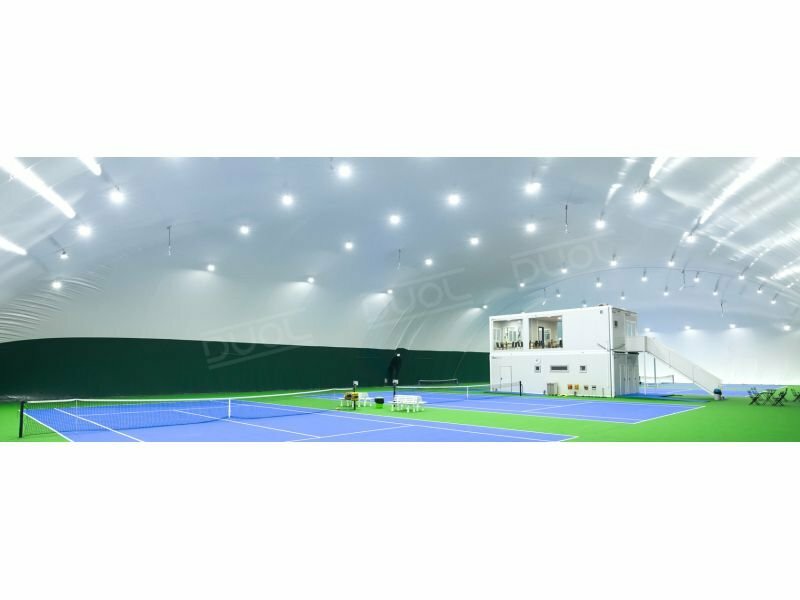 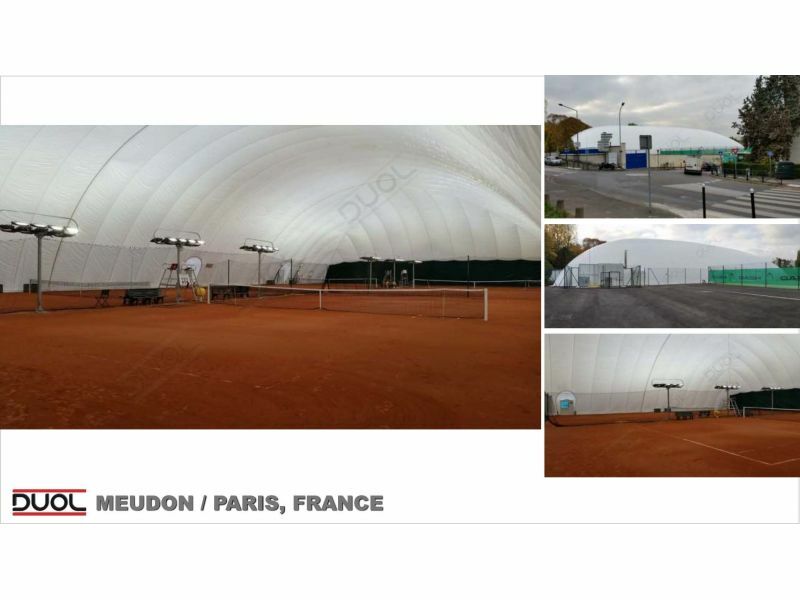 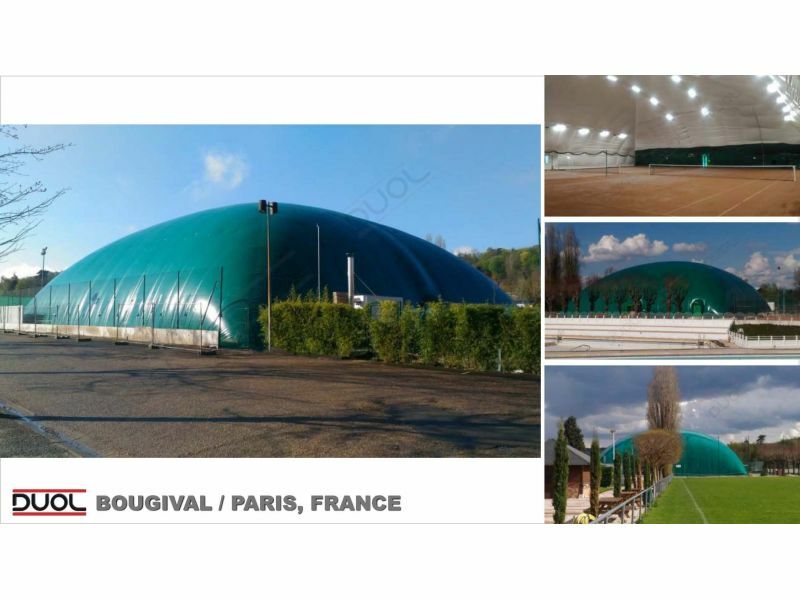 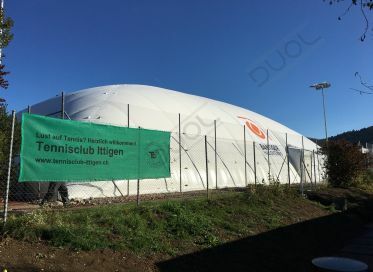 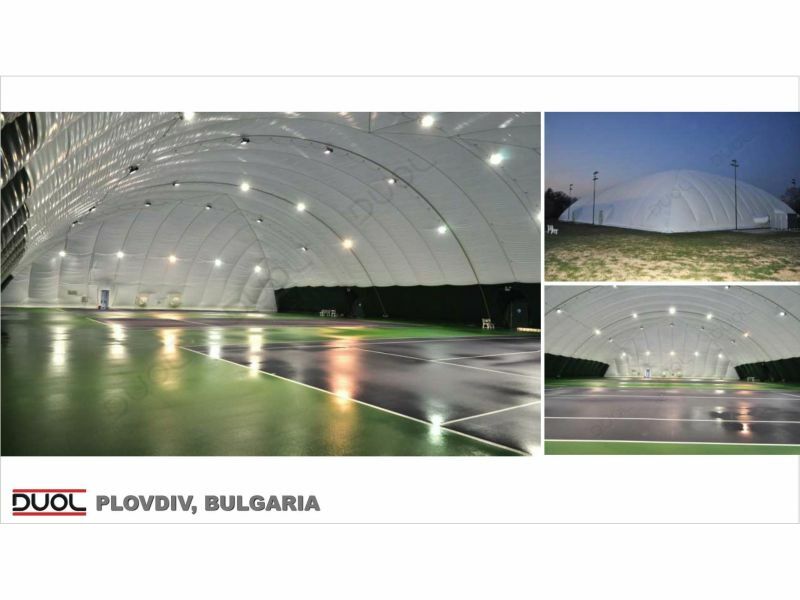 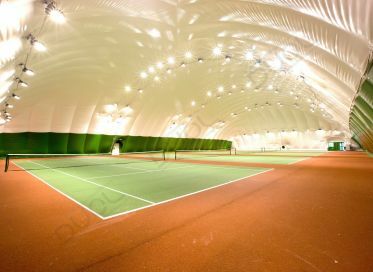 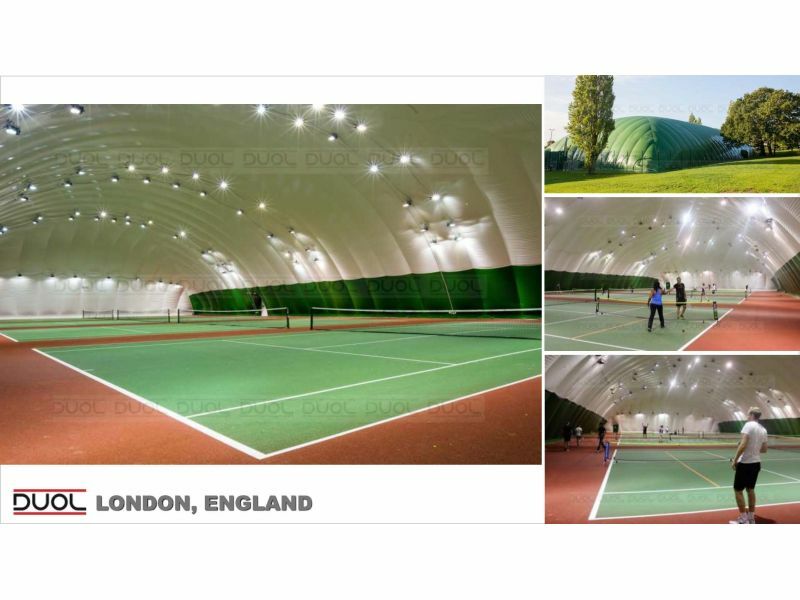 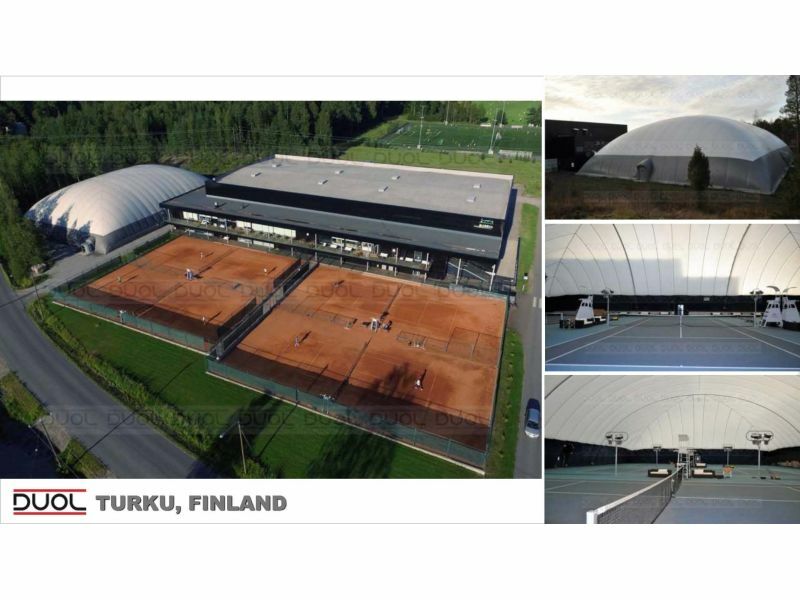 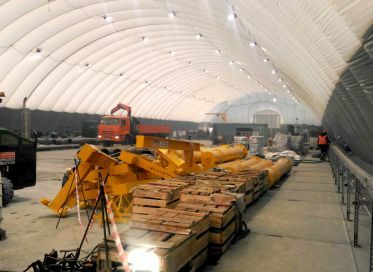 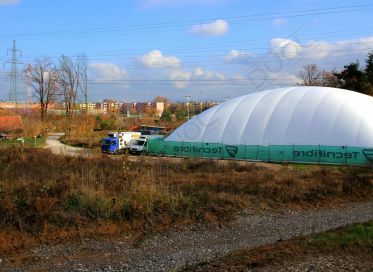 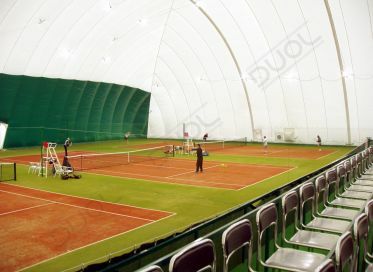 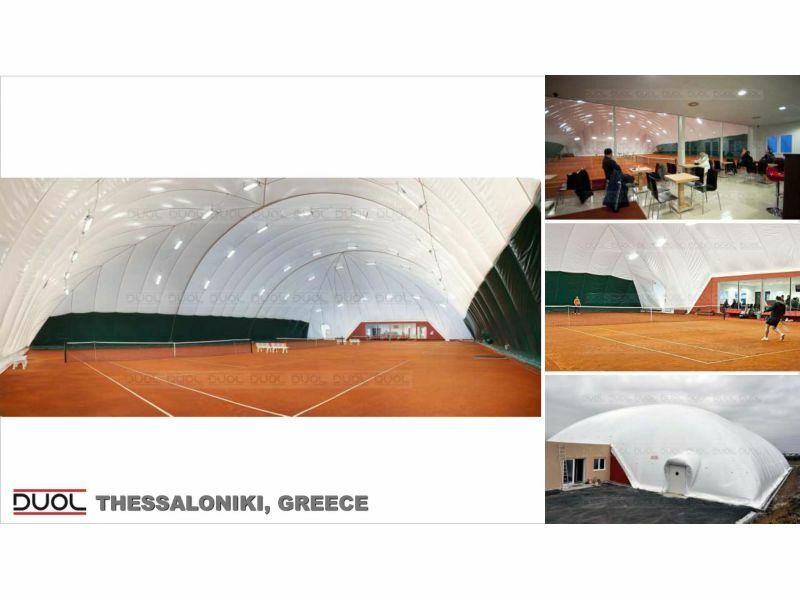 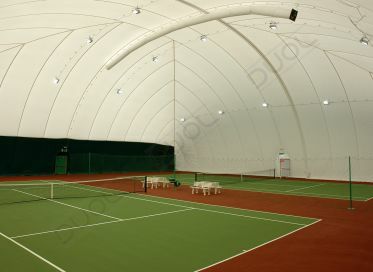 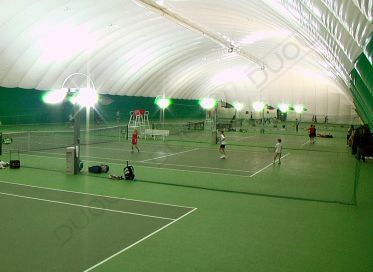 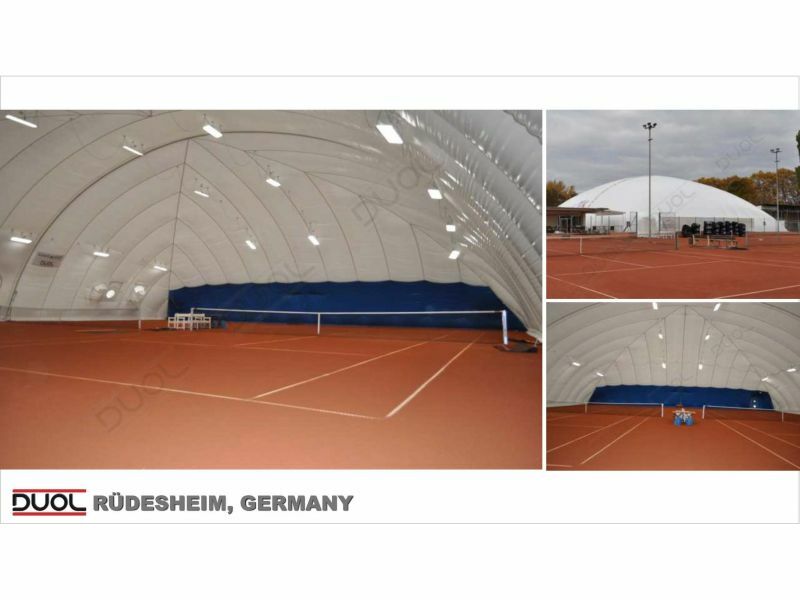 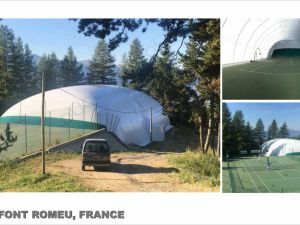 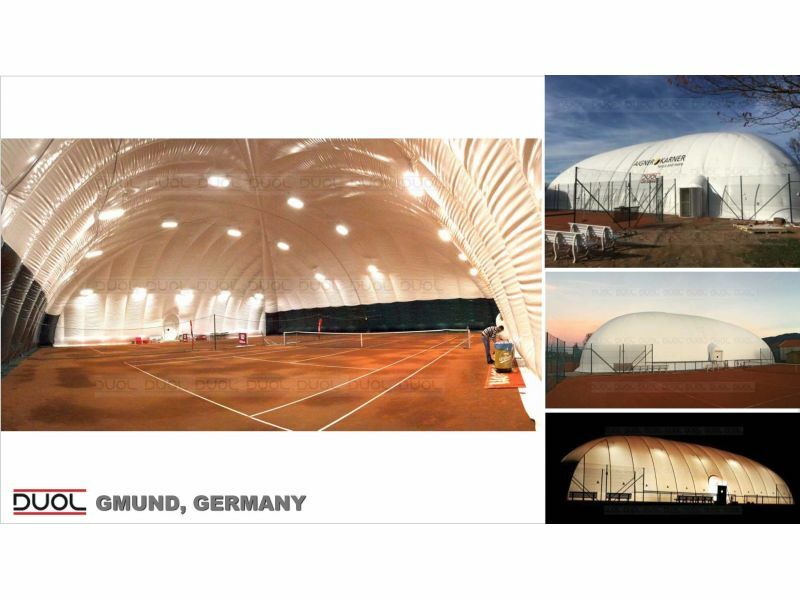 The particularly quick erection of the Tennis dome and its equally rapid dismantling that leaves no visible traces allowing for temporary or permanent coverage, thereby increasing investors’ profit levels. 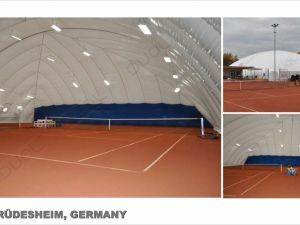 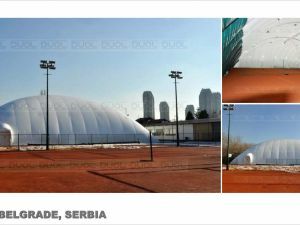 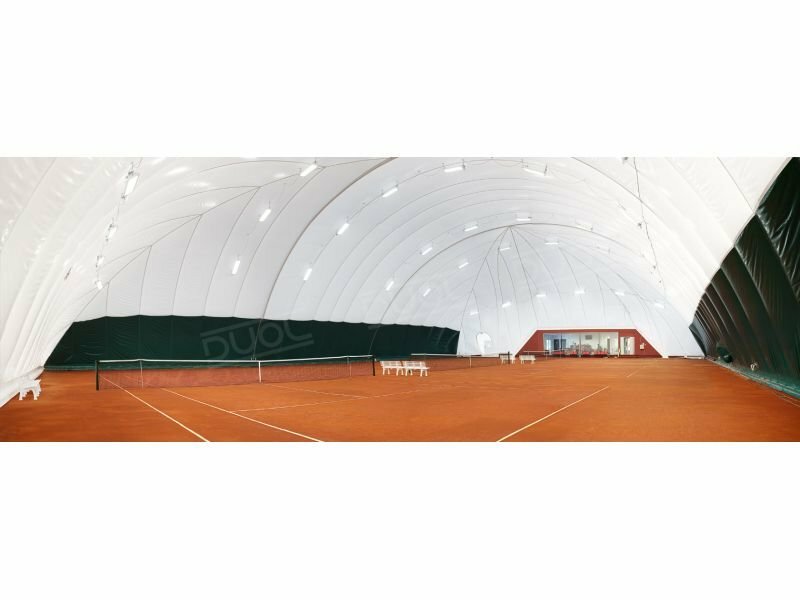 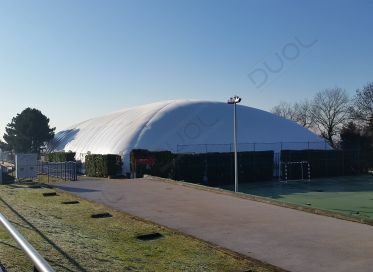 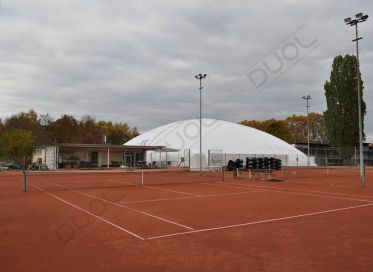 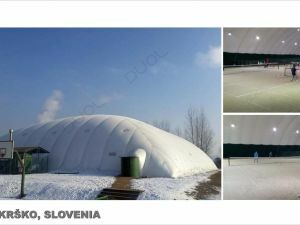 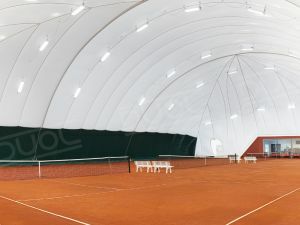 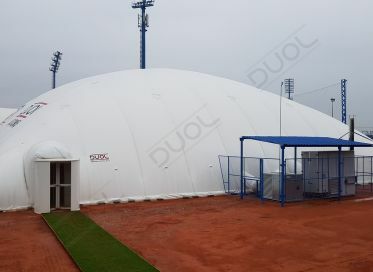 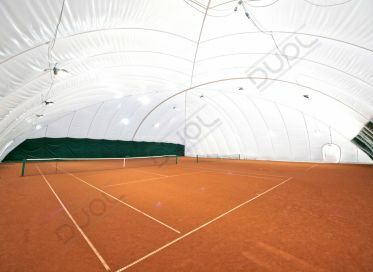 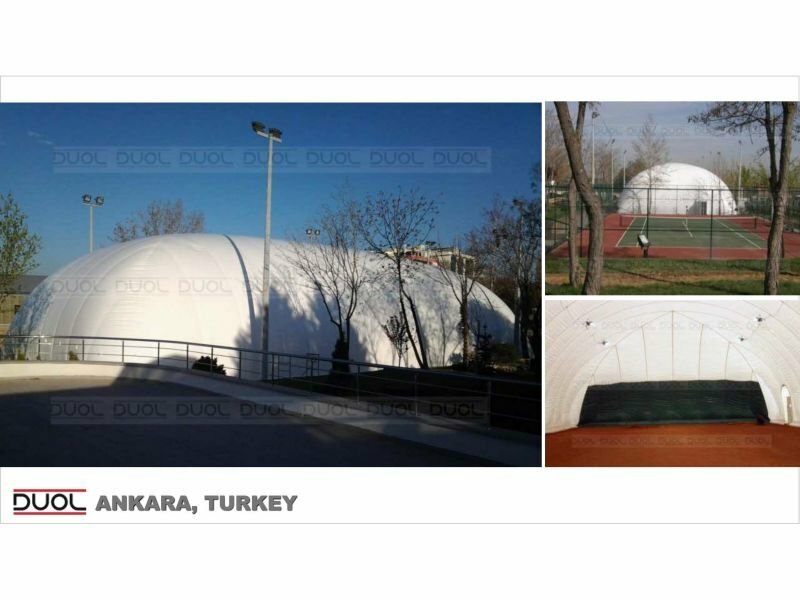 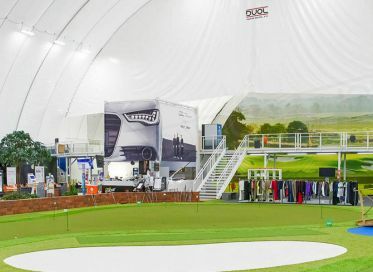 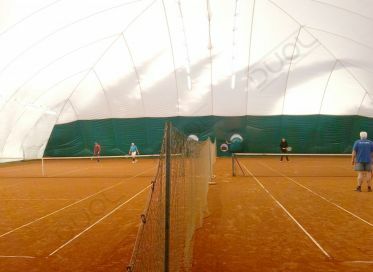 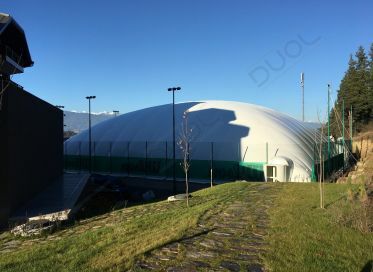 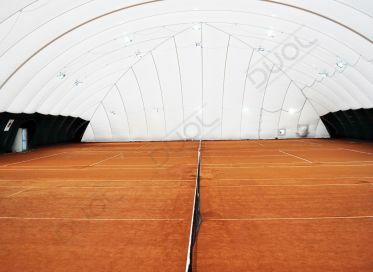 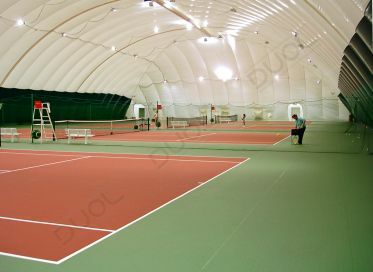 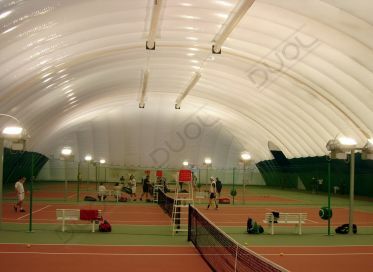 The excellent insulation characteristics of the double fabric membrane provides players with ideal playing conditions and protects them from the weather. 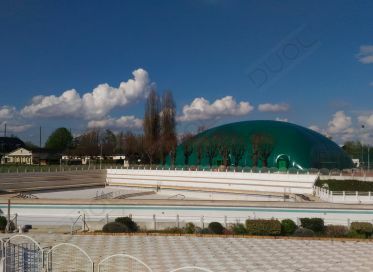 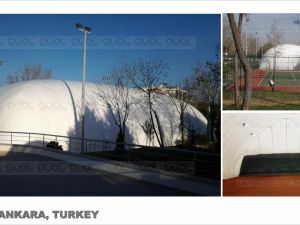 DUOL pool covers prolong the use of swimming pools and aqua parks throughout the year. 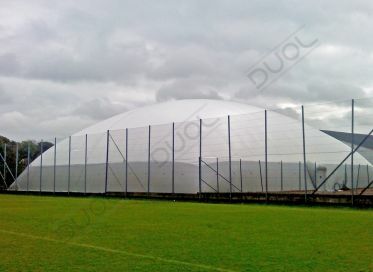 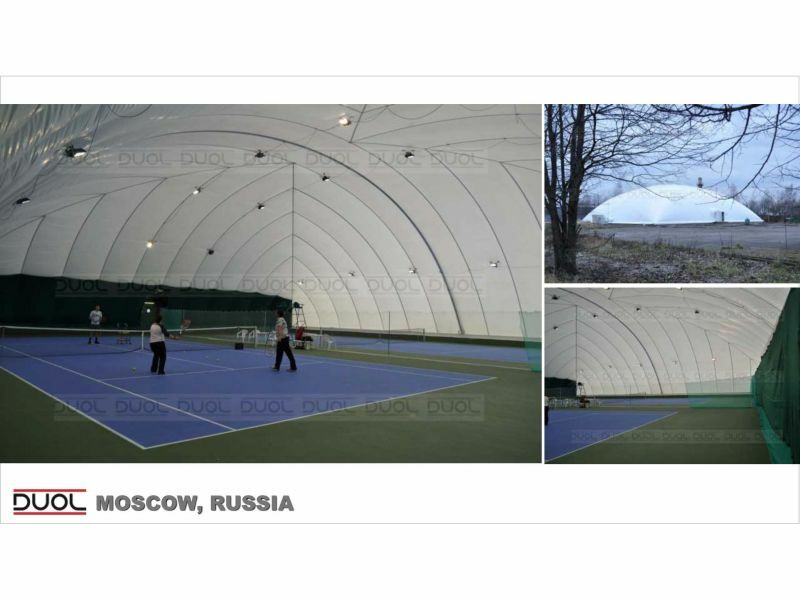 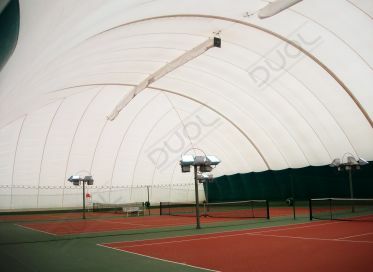 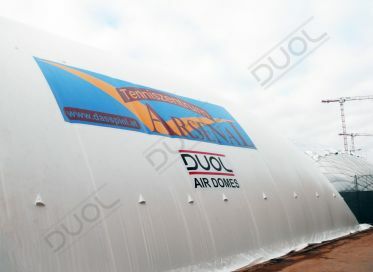 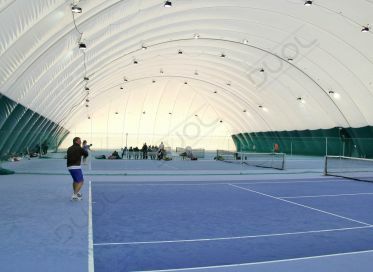 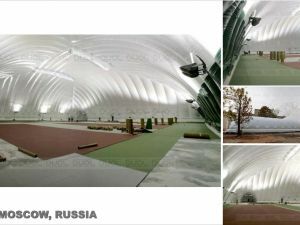 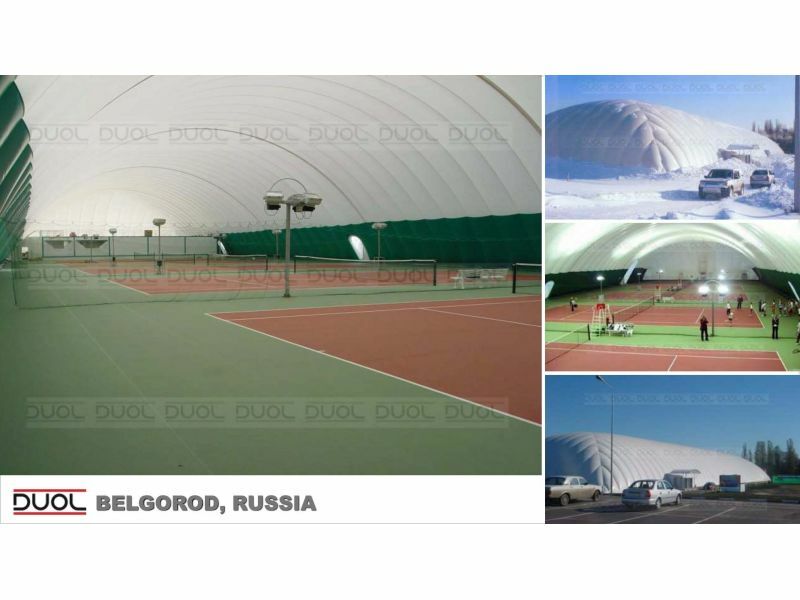 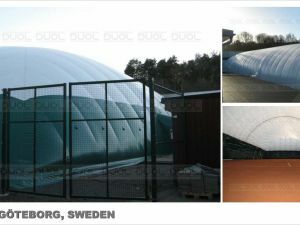 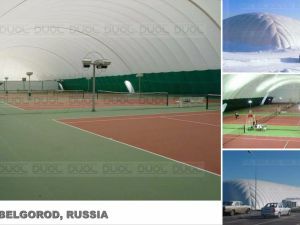 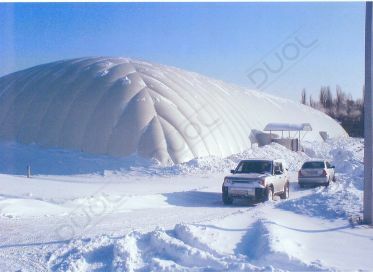 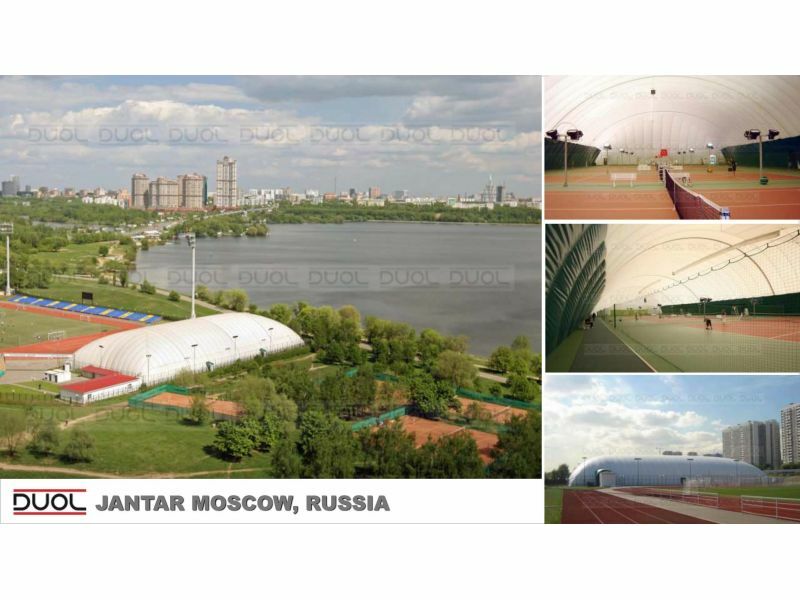 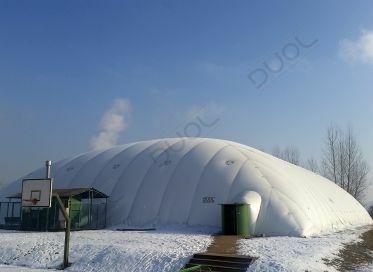 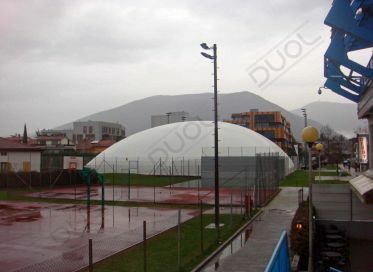 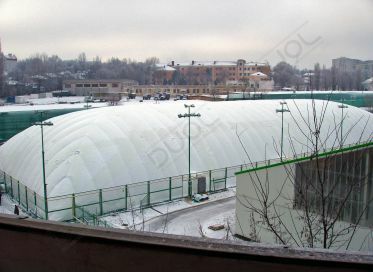 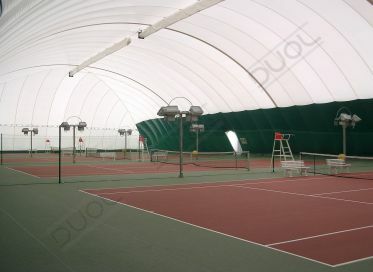 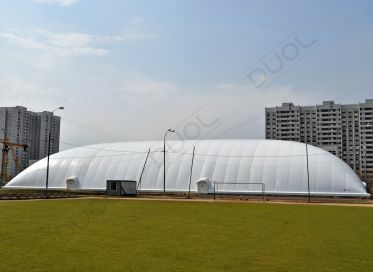 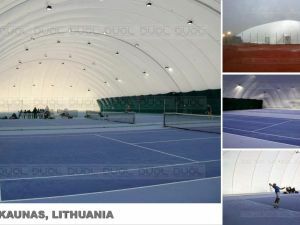 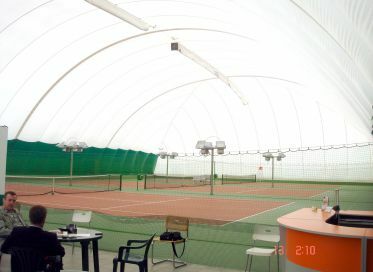 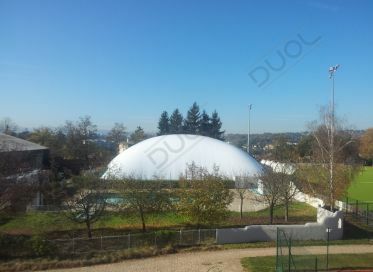 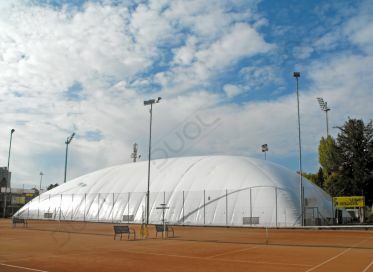 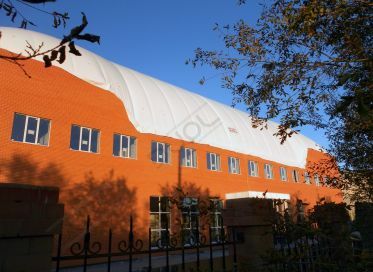 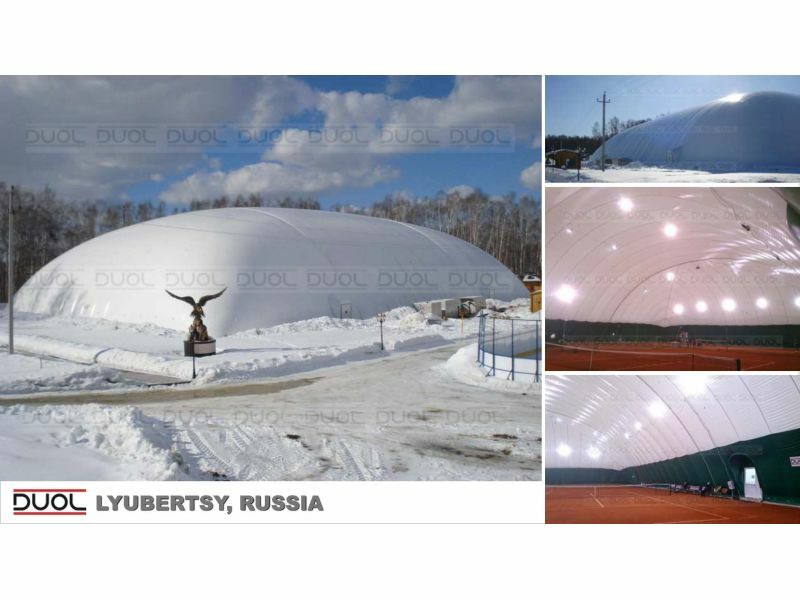 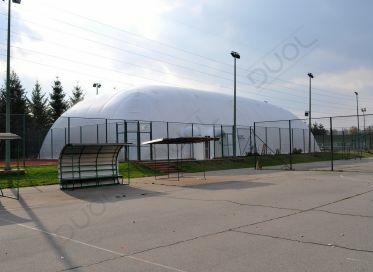 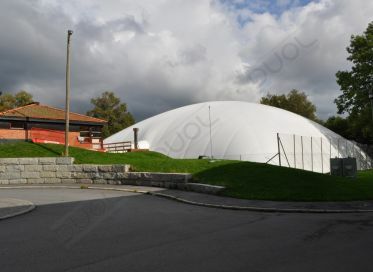 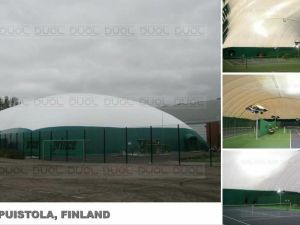 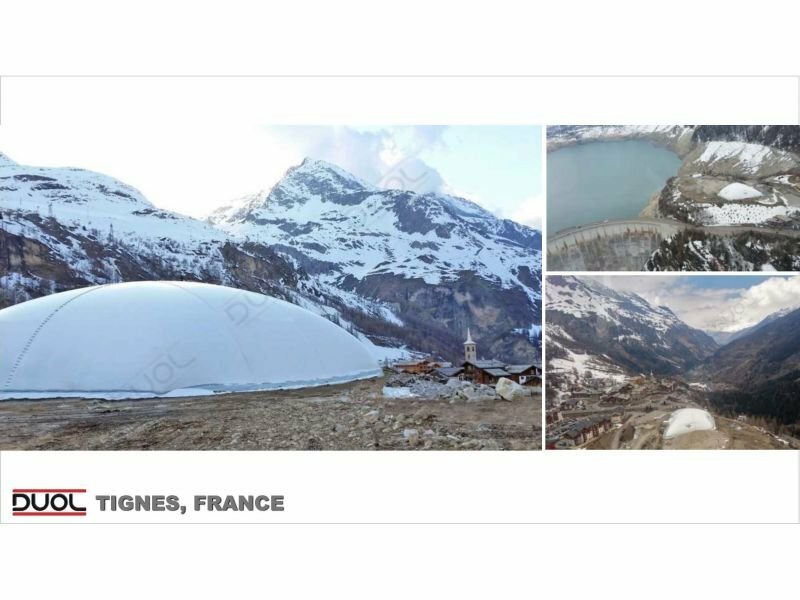 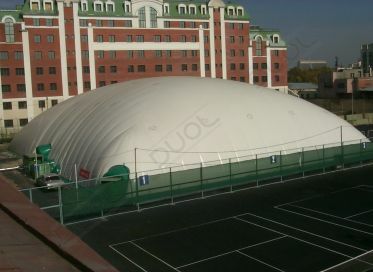 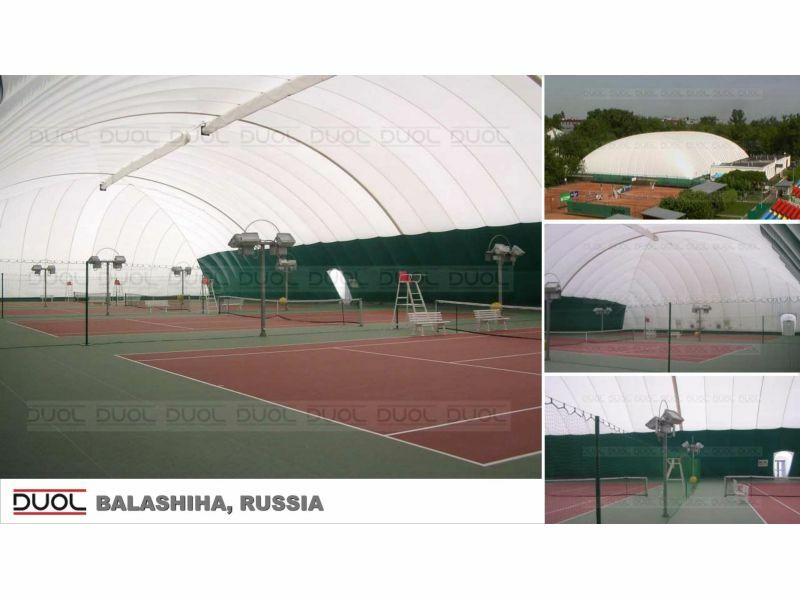 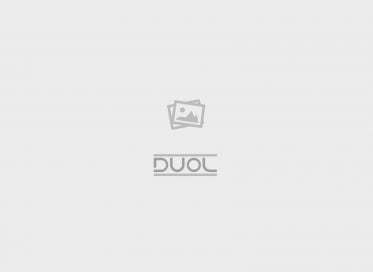 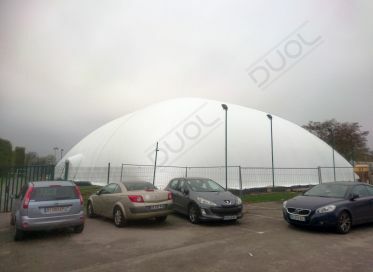 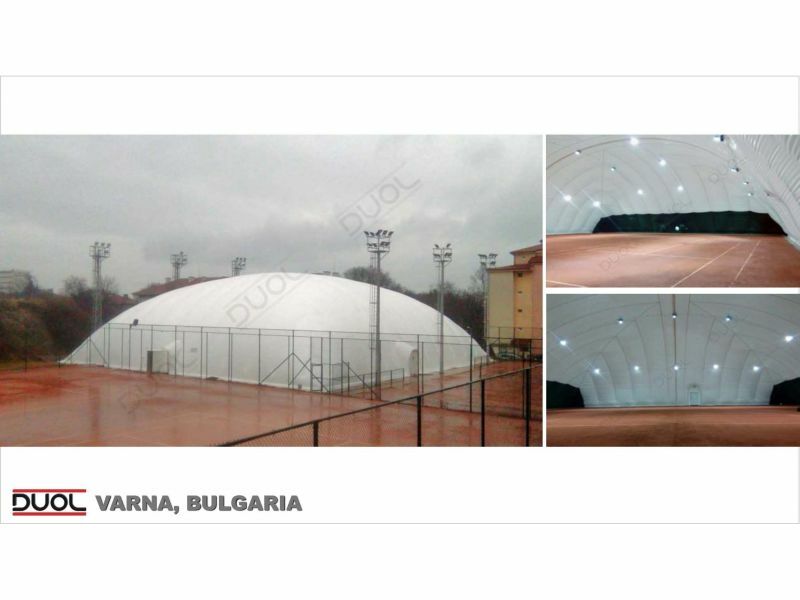 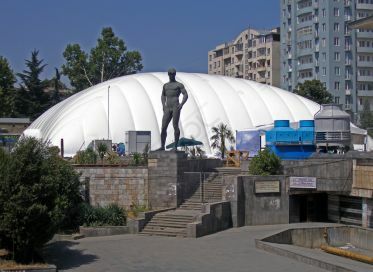 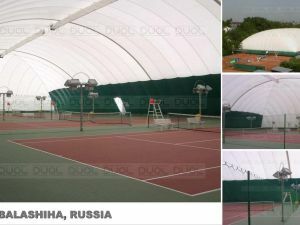 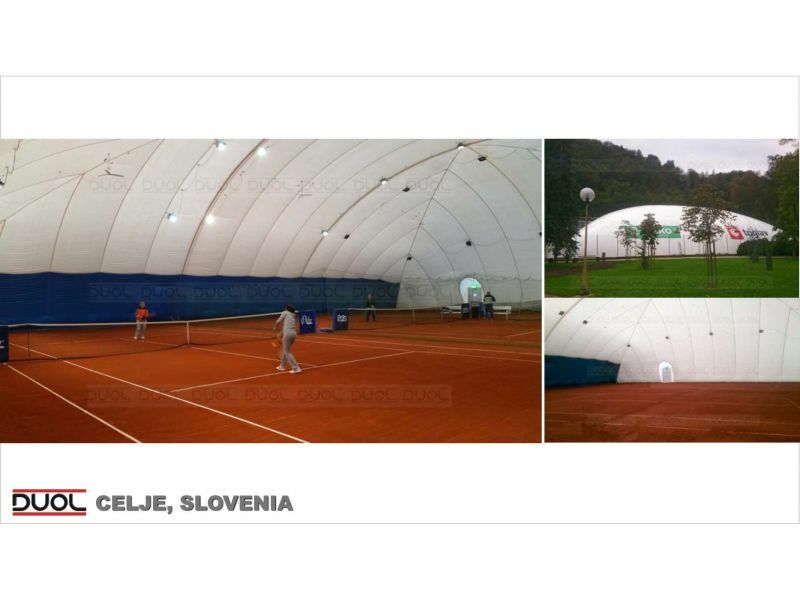 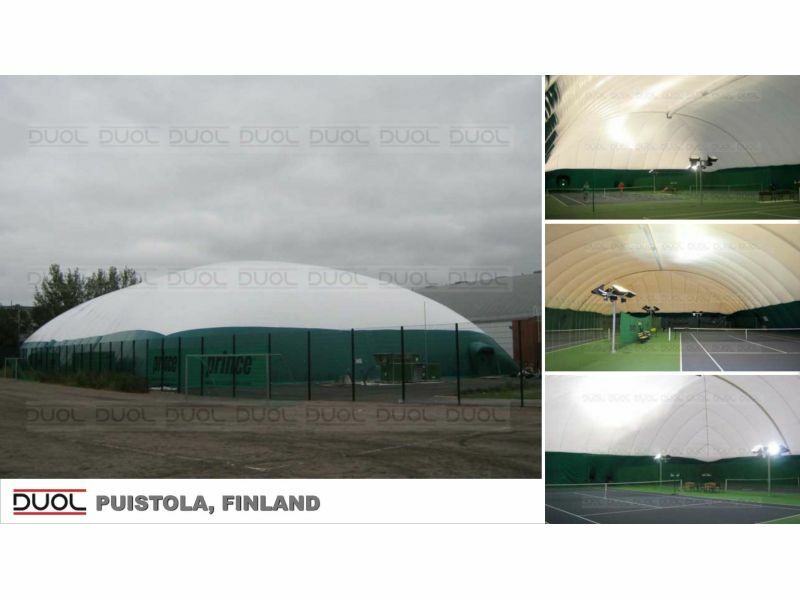 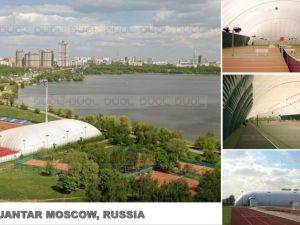 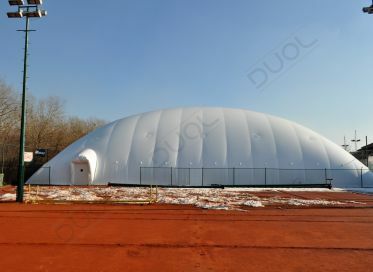 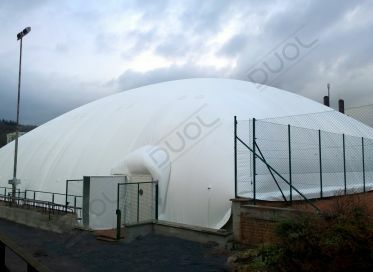 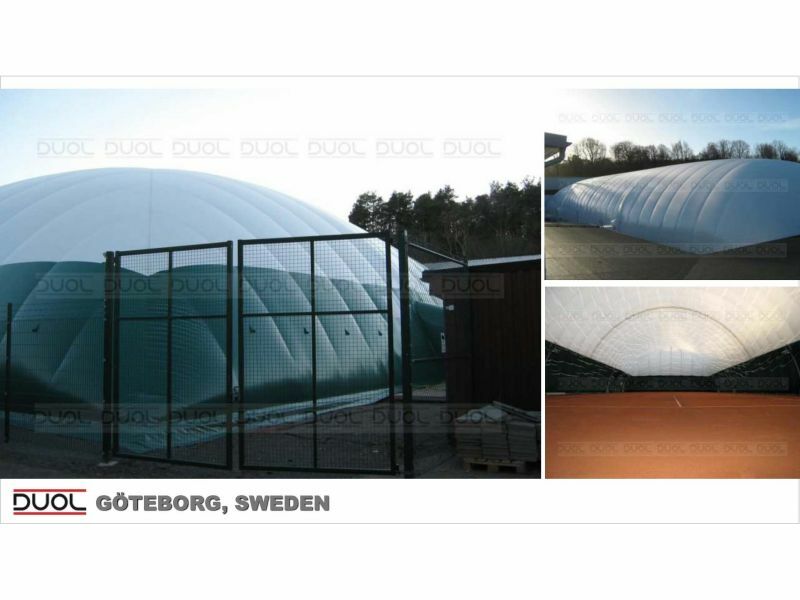 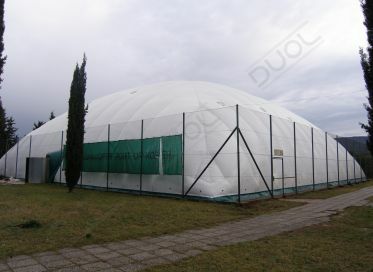 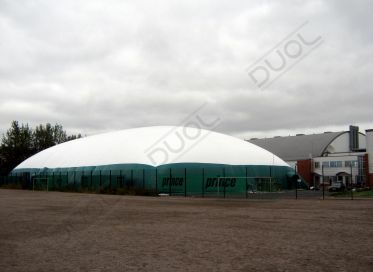 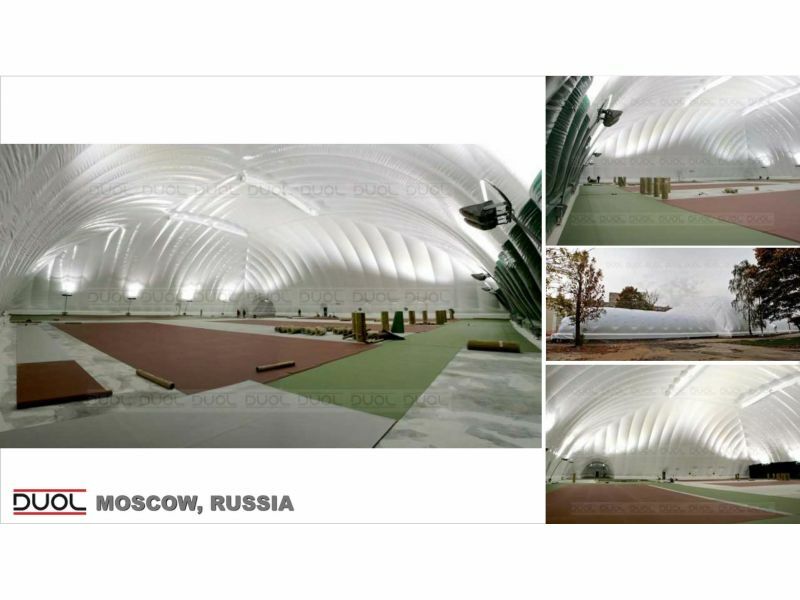 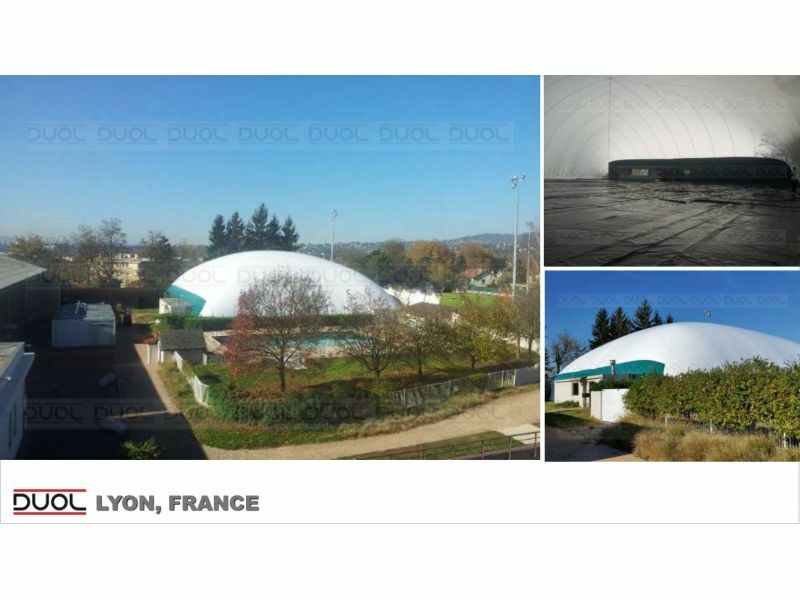 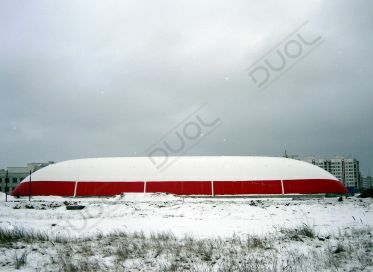 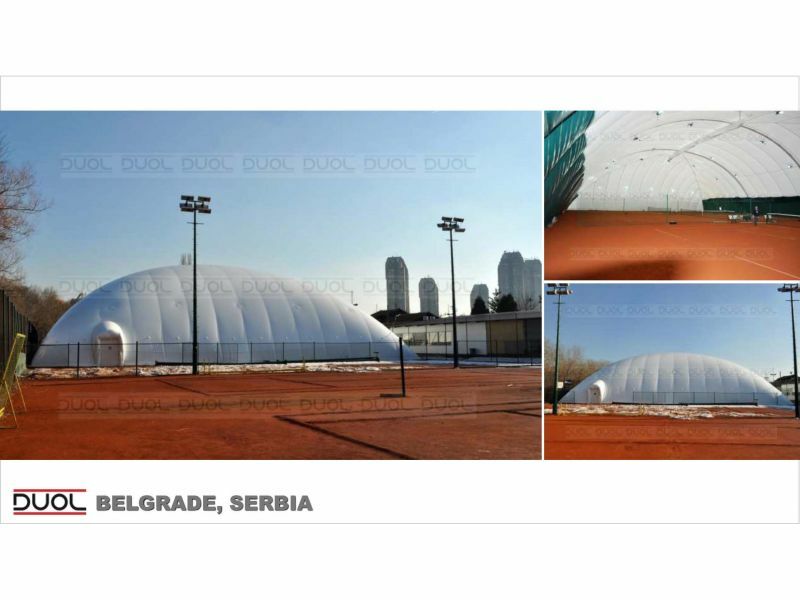 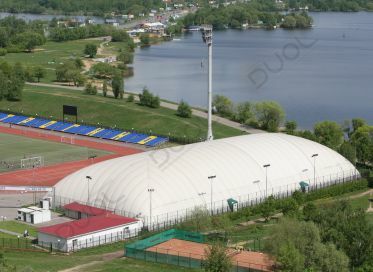 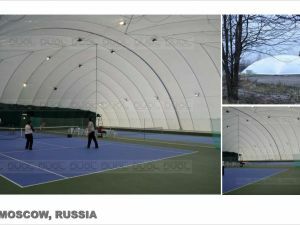 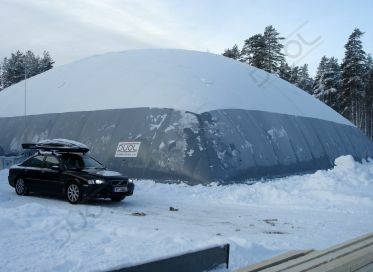 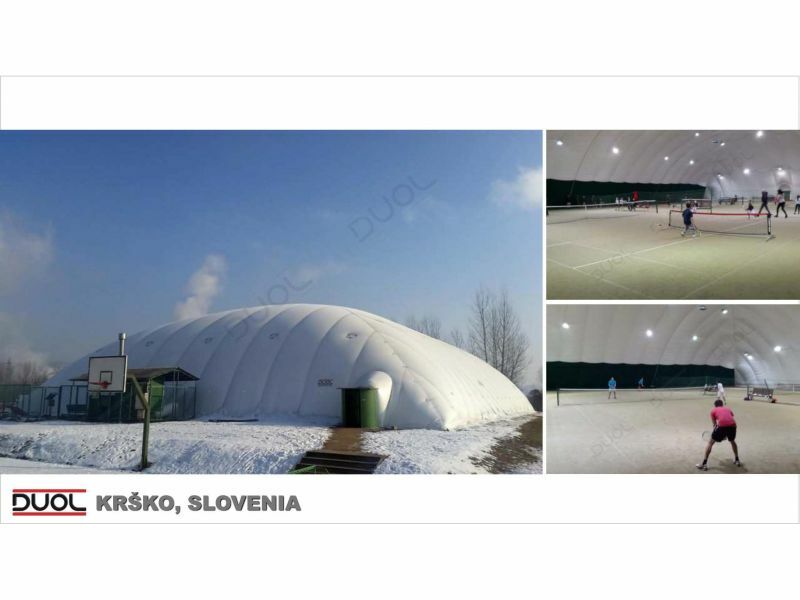 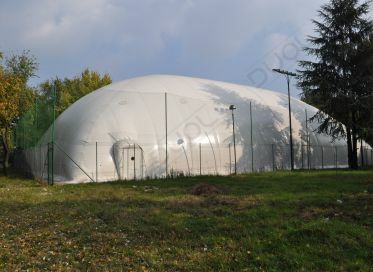 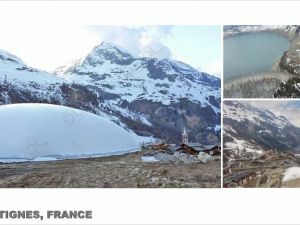 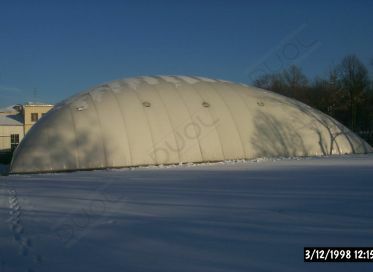 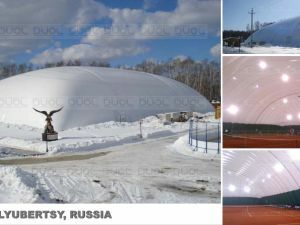 Air dome offers complete weather protection and optionally it can be also quickly dismantled. 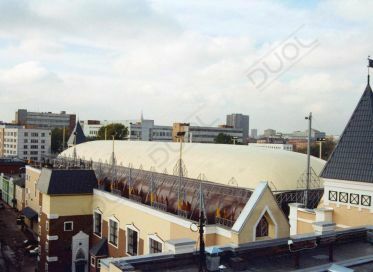 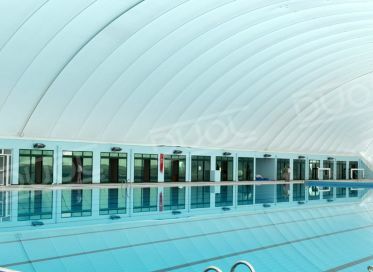 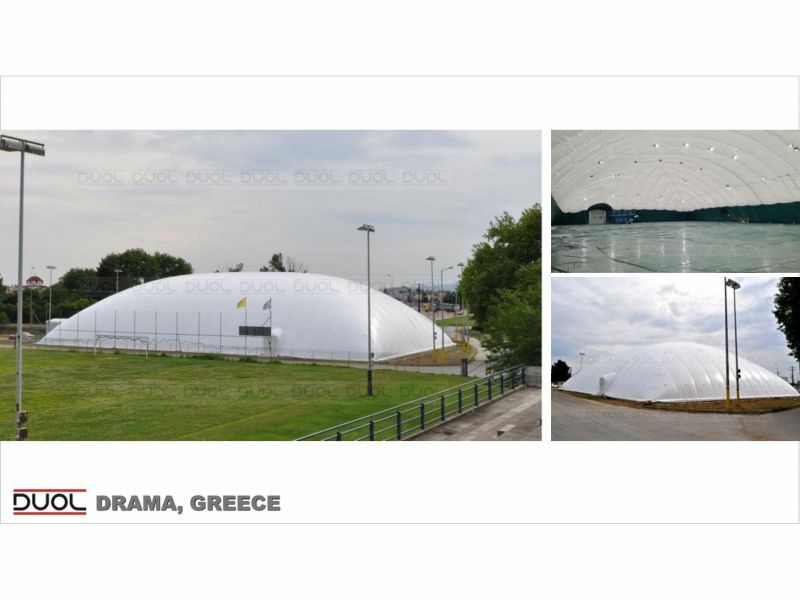 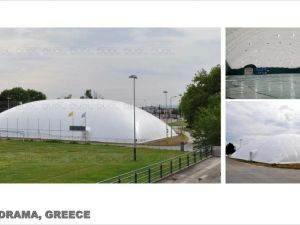 The particularly quick erection of air dome pool covers and its equally rapid dismantling that leaves no visible traces allows for temporary or permanent coverage, thereby increasing investors' profit levels. 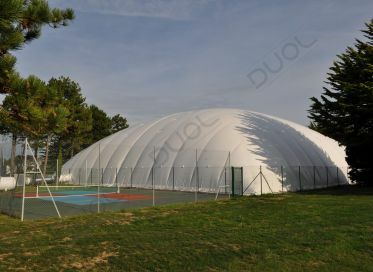 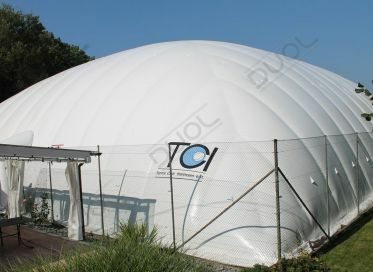 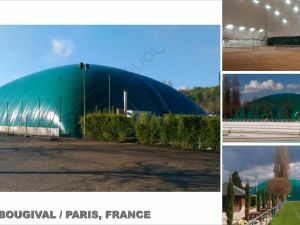 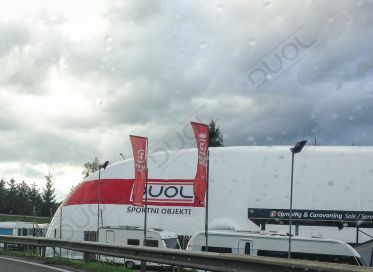 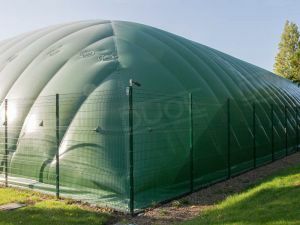 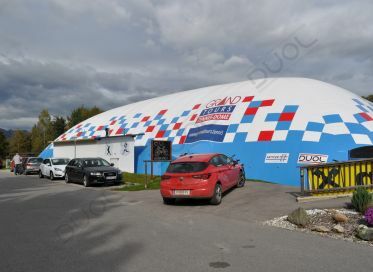 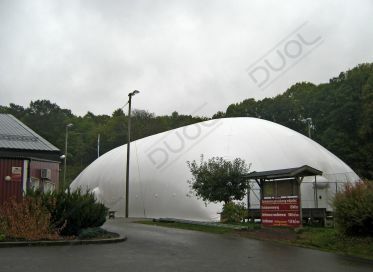 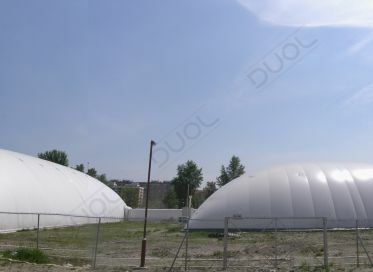 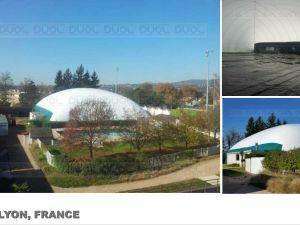 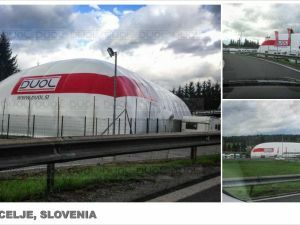 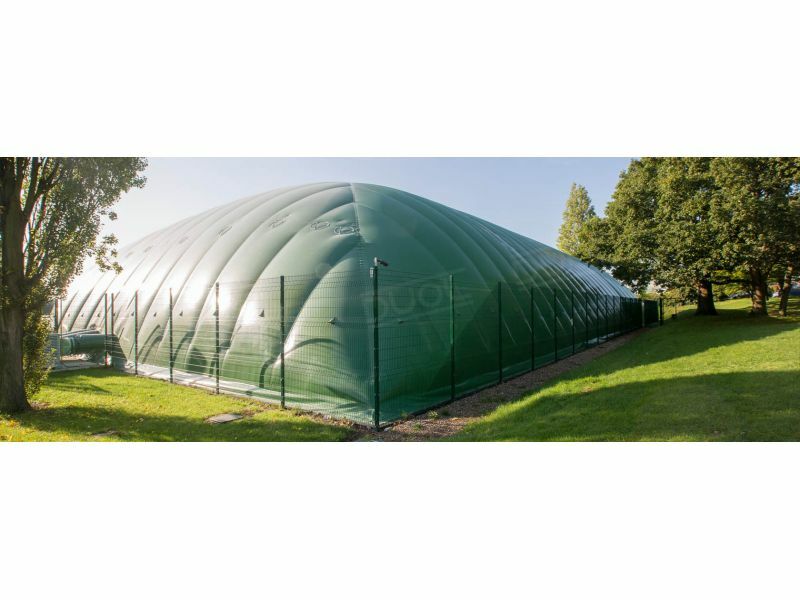 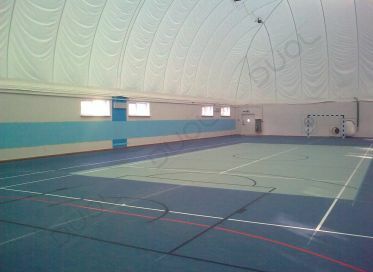 For any number of business applications, DUOL air supported domes and industrial structures provide large, clear, free-span areas for maximum usable floor space with a minimum investment.